Last week's STYLE post was all about layering. Layering is such an incredibly simple way to give new life to the ol' standards in your closet. Well, it left me feeling inspired to push the contents of my wardrobe even further. I challenged myself to create a week's worth of outfits surrounding one piece: a basic LBD (find a similar one here). I had a ton of fun pulling every last stitch from my closet and just generally making a big clothing mess! I played around, piled on the layers, and tried out styles and silhouettes I had never really attempted before. Some outfits were a success and others were, well, just plain weird. But by the end, I felt like I was putting more thought and creativity in to my daily style routine than I have in a while. 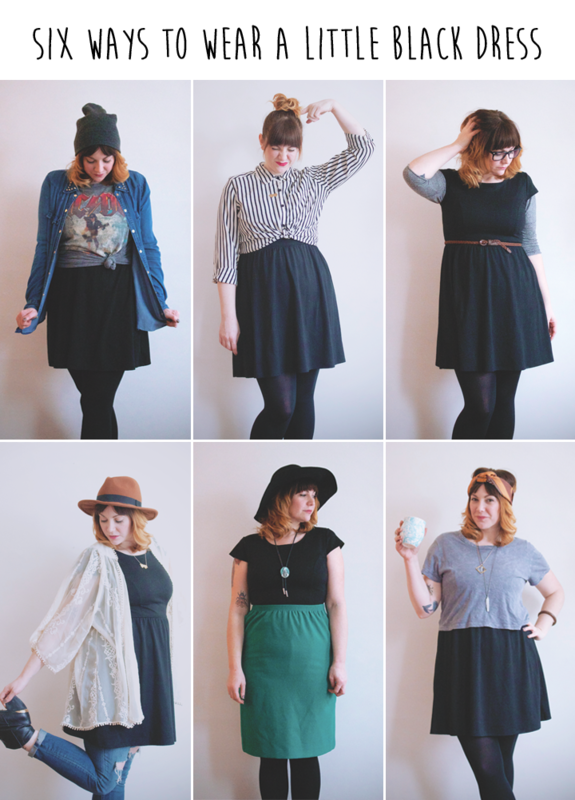 My closet feels fresh and new and I re-fell in love with a few long forgotten pieces that had been tucked away. I'm definitely going to make this challenge a regular thing!What do you think? Could wear one piece every day for a week without getting bored? What about an entire year!? If you haven't already, you've got to read the incredible story of the Uniform Project. Seriously inspiring!